During the work week, the time to unwind usually is limited to that hour of Netflix after dinner before we pass out on the couch. That’s why we live for Saturday and Sunday. 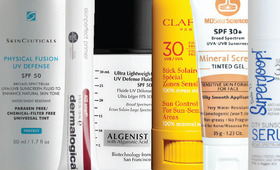 This weekend, dedicate your days to total relaxation with de-stressing products that put your mind and body at ease. 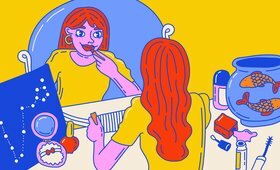 These tips and treatments will help you refresh, recharge, and beat burnout. Our motto: Work hard, pamper harder. 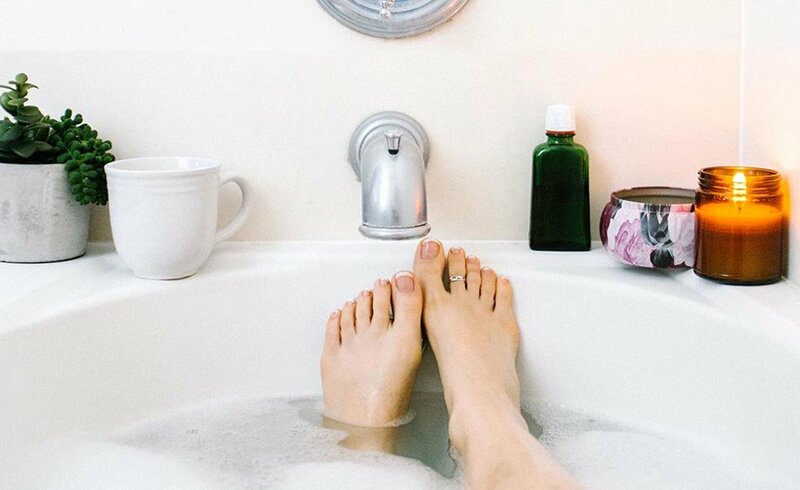 A bath can be a great way to let go after a tense week of work or school. Formulated with a soothing blend of citrus oils and all natural sea salts, this renewing soak relaxes overworked muscles while detoxifying pores. 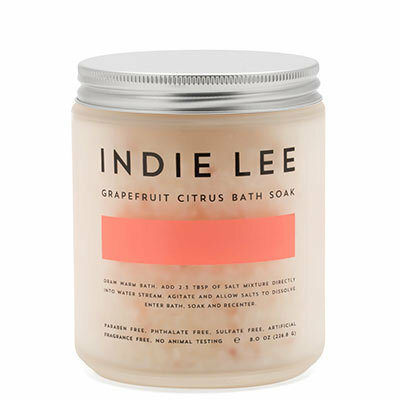 Prep your tub by adding 2-3 tablespoons of Indie Lee Bath Soak directly into a warm water stream. After the salts dissolve, hop in to let the stresses of the day exfoliate away. There’s something instantly calming about a candle—especially when it smells like fresh ocean air. With earthy sage and mineral scents, the uplifting aroma of this Jo Malone London Wood Sage & Sea Salt Scented Candle will transport you to tranquil shores. For the ultimate relaxation experience, draw a bath, listen to “ocean sounds” on Spotify, and let this revitalizing candle take you away to a calming beach locale. Even if your schedule is jam-packed, you deserve some “me” time—even for just a couple minutes. Skin Inc Facial In-A-Flash gives busy bees a salon-worthy facial in ten minutes for instant skin repair, purification and hydration. 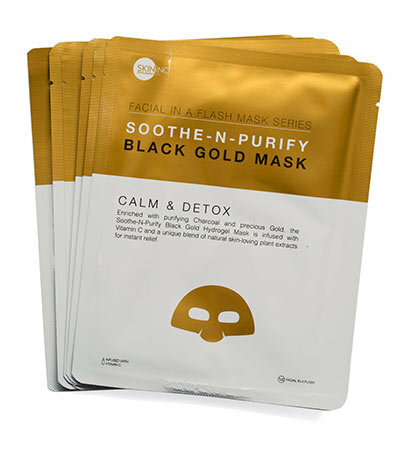 Formulated with vitamin C, charcoal and “Pure Gold”, this mask addresses your skincare needs by quickly repairing and detoxifying pores so you can get back to work without sacrificing your skin health. You may think of “masks” as solely hair and face revitalizers, but Sol De Janeiro wants you to add a full body mask to your list. 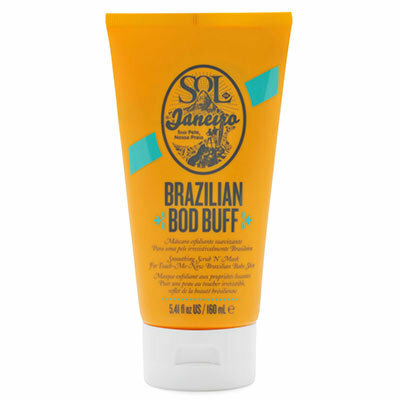 Formulated with Amazon River Kaolin Clay and three mineral exfoliators, the Sol De Janeiro Smoothing Scrub ‘N’ Mask sloughs away impurities while increasing circulation to renew tired skin and muscles. Apply the pistachio and salted caramel-scented formula onto your skin and leave on for 5-10 minutes until dry. While you wait, we challenge you to eliminate all tech distractions and refresh your mind while this rejuvenating mask refreshes your skin. 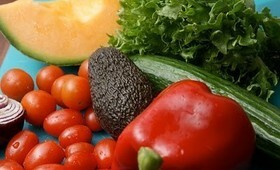 The best way to release tension from the inside out? Get dusted. 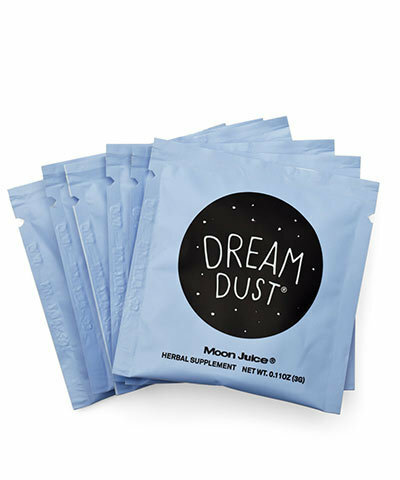 Nicknamed “edible rest,” Moon Juice Dream Dust is an herbal powder to add to teas and milks. It features an adaptogenic blend of calming super herbs to soothe both the body and mind. The gluten-free formula includes chamomile to reduce stress-induced body aches, polygala to settle the nervous system, and schisandra to encourage a meditative mindset. We recommend mixing one sachet into herbal tea or nut milk and drinking before bed for a restful night’s sleep.